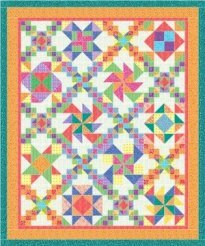 $5 Quilt Club is starting up again in March 2017! Each month, come join us while we show off all the new stuff in the store. 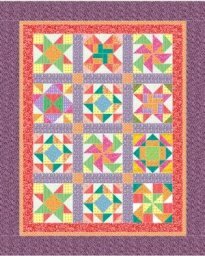 We'll spend about 45 minutes showing new fabric, books, patterns and notions. Then, we have show-and-tell, where you can see what all your new friends have been up to that month and show off your own projects. 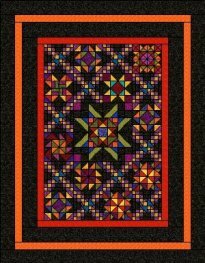 Our March meeting will be the big "reveal" for the quilt's design. 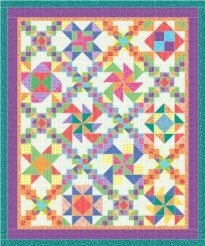 As a little hint, this year we are doing a theme quilt, with lots of fun different blocks, not just a sampler-type quilt. We have two different colorways from which to choose, and there will be an optional Expansion Kit each month. 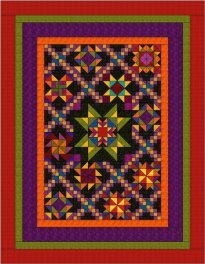 If you choose to do the optional expansion blocks, your quilt will end up being larger than the original. If you choose to do both colorways and/or the optional Expansion Kit, each extra block kit will be $5. 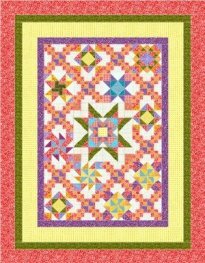 In other words, if you get one block done and show up for the next $5 Quilt Club, one of your blocks will be free. If you choose to do both colorways, the extra block will be an extra $5. If you choose to do the Expansion blocks, it will be $5 for each of the blocks that you choose to do. There are cash lines that are a little quicker if you want to bring cash. 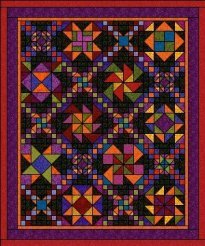 $5 Quilt Club is ALWAYS the SECOND SATURDAY of the month, AND the DAY BEFORE (Friday). Sometimes, this is not the second Friday of the month!! Club is always Friday or Saturday at 10am and Friday at 5:30pm. You may choose to come to any of these three sessions. You do not need to sign up. - Show up on time and stay throughout the meeting. We do not give out any block kits until after Club is over. 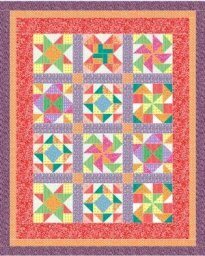 - Bring your completed block to get one free block or be prepared to pay $5 for your next block kit. We know life gets in the way, and we have heard really good excuses for why you couldn't attend or why your block is not ready, but PLEASE! don't put us in the position of having to tell you "no!" It breaks our hearts. Correction for May Expansion Block: So sorry! The cutting instructions are correct, but the second diagram showing a diagonal cut should say pieces #4, #6, #7, NOT #5. 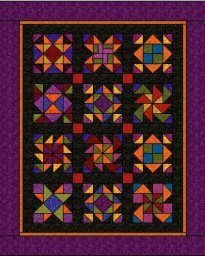 Click here to download patterns for full-size quilts using the $5 Quilt Club patterns!